International Electronic Digital City, South Building, located in the country's largest mobile communications accessories heart of the professional market, is a set of international and domestic trade, exhibition, logistics and other functions as one large professional market of digital electronic components. Mainly engaged in electronic communications, mobile machine, cell phone accessories and related communication products, business area of ​​18,000 square meters, 1018 shops. Has invested nearly 50 million comprehensive renovation. South Building, digital city, functional areas: the first floor, loft - brand mobile phone, mobile phone shops, digital cameras, MP3, maintenance equipment and repair shops, phone card, prepaid card, walkie-talkie; the second and third - both inside and outside cell phone accessories and other electronic accessories; four, six, eighth floor - firm, office. Main source of customers in Guangdong Province, Chengdu, Shanghai, Nanjing, Wenzhou, Shijiazhuang and other domestic cities; also includes Pakistan, India and other Middle Eastern countries. 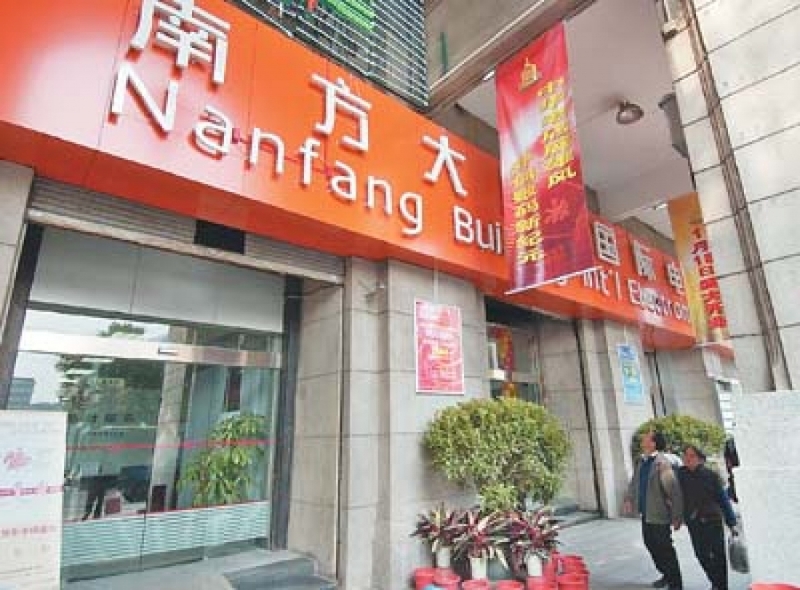 Nanda was founded in order to achieve the goal of leading digital city, giving tenants more comfortable operating environment, to bring more convenience to the customer shopping conditions, the South as early as before the opening in the digital city, Guangzhou and the Pearl River Delta management on the study of digital cities such as professional market, to incorporate, to determine the "standard management, credit management, quality service" business management philosophy, and used in the renovation, management and service aspects. Services include: banks, providing savings, credit, payment, clearing, settlement; postal, courier, telecommunications, hotels, restaurants, fast food and other living facilities; translation, import, export, transport, packaging, handling, logistics and other agency services; to help businesses apply for business and tax registration; household IDD, broadband Internet access, public address system; on-site and online multi-level print advertising, electronic advertising system; multi-functional conference hall and other facilities show.